The internet is a funny place - so huge and yet at times it feels likes we're all pulling inspiration from the same pool of creative ideas. This can create some challenges but also, some beautiful results. I love seeing what inspires others but also what it inspires them to create! 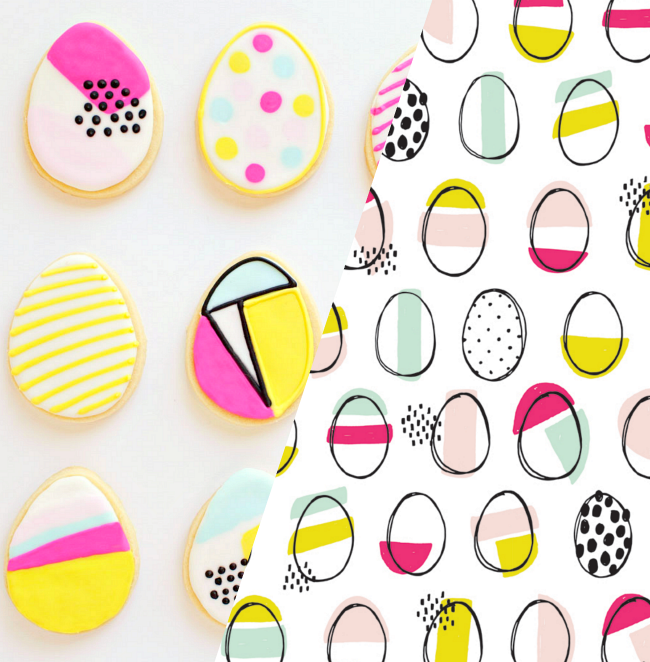 Here's a fun duo of modern eggs that demonstrate how the online creative community inspire each other in some delicious ways! I'm a big fan of Baba Souk and love the seasonal wrapping papers Stephanie creates. 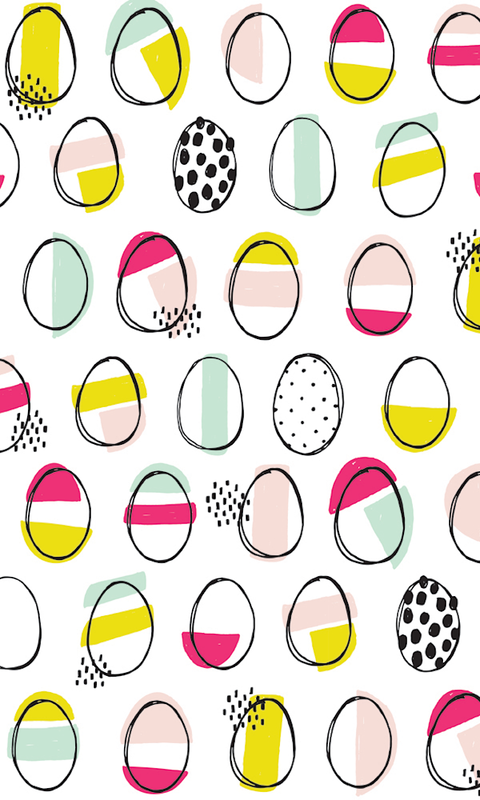 For Easter, she shared this fab modern egg print (amongst others - go download them here) designed with Marie-France Auger. 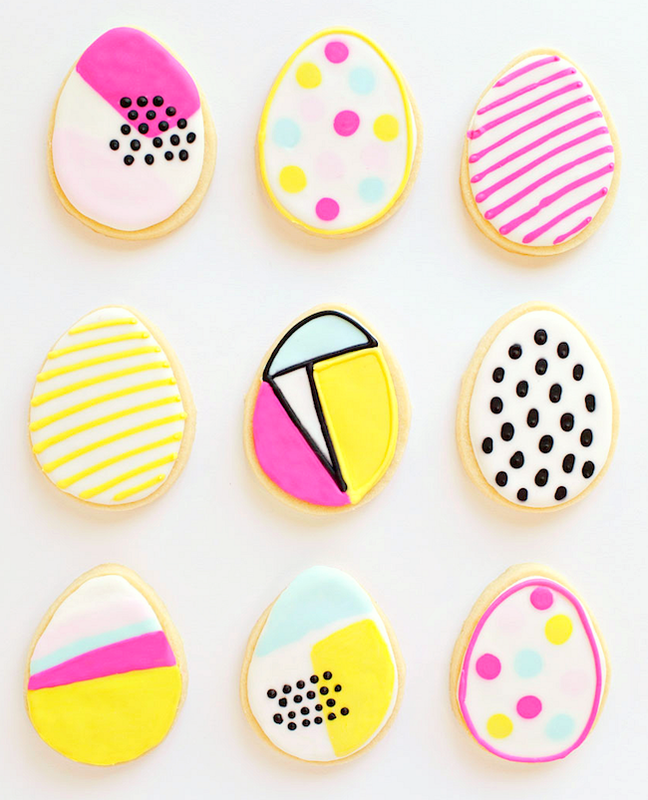 Which then inspired Sara over at Tell Love and Chocolate to bake up these gorgeous Easter cookies. So good, right? I guess you can have good design and eat it too!